This month? 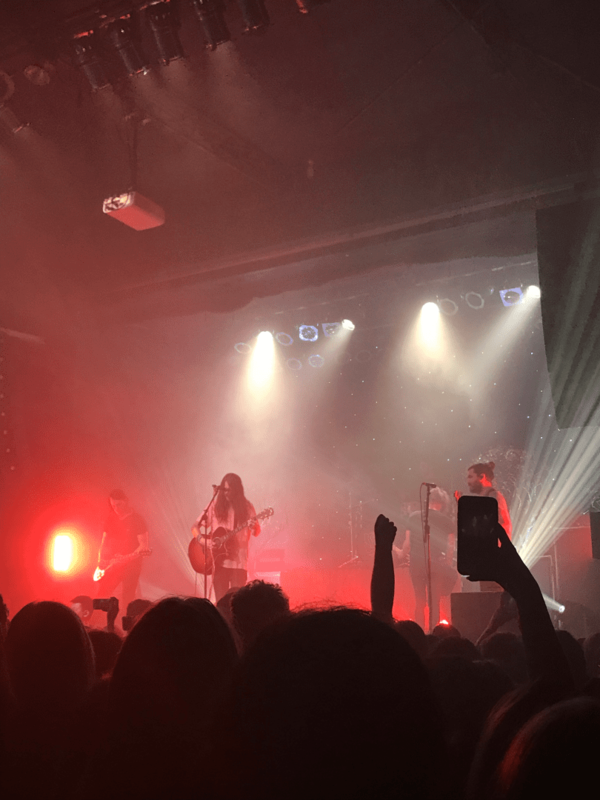 Mayday Parade at The Phoenix in Toronto. Two months from now? Mayday Parade… in real Phoenix. How am I ever going to survive it?? But listen, here’s the thing about Mayday Parade. Y’know how sometimes you see a band and they refuse to play the song that made them famous? You go specifically for the one track that constantly reverberates around your skull and they won’t play it out of spite? I mean, that’s fair. I totally understand it! You’ve been working hard on things you’ve just released and you want people to care about those things too. But MP… they just…. played a full set of their hits. No deep cuts. Just the songs everyone came to scream along to. And admittedly, I would have loved to hear more of Monsters In The Closet or Black Lines, but I respect them for creating a set out of the old songs that got them here and the new songs that keep them here. The crowd was losing their minds the entire time. The combination of smoke & lighting made it feel like I was floating in a dream the whole time. It almost felt like I wasn’t really seeing what I was looking at, like it was an optical illusion. They had trees on the stage and I was almost certain I hallucinated that until I checked photos afterwards. 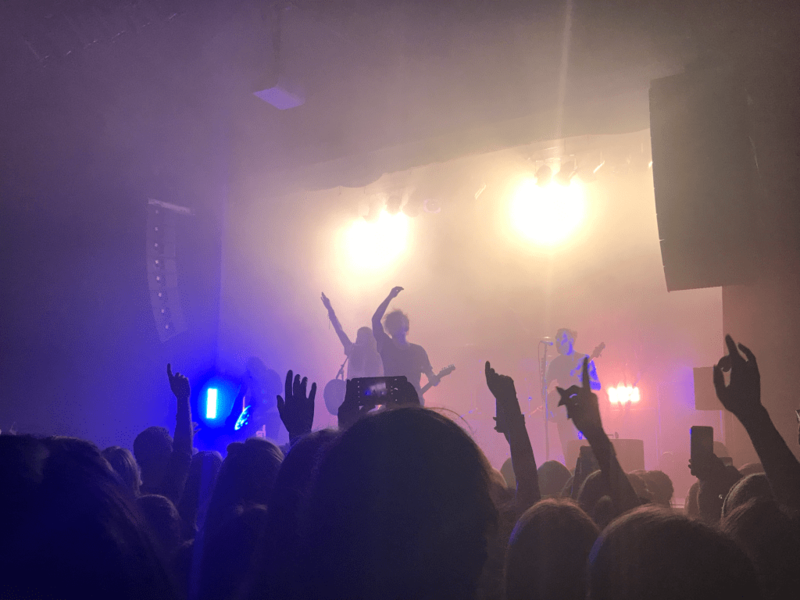 And I know I’m a big fan of going to emo night events and screaming until I lose my voice to the songs I loved in 2006… but damn, it’s so much more fun screaming “Jersey” in a room with the band and their biggest fans. And I haven’t even told you my favourite part yet. And I just…. don’t…. understand??? And no matter what other songs they bring into our lives, this song stays on the setlist forever. And every time they play it, I shake my hands to the sky and ask God for just a little help with you… but it’s hopeless…. And then they reached the very end of the encore and announced they had one song left. They hadn’t yet played “Oh Well Oh Well”… but they also hadn’t played “Black Cat”. And I got nervous. And I held my breath for the entire 3 minute preamble leading up to the song. And as soon as I heard Derek sing “when you’re alone… do you think of me?” I literally screamed THANK GOD because I couldn’t believe my luck. I know this is the dumbest thing to care about but like… “Oh Well Oh Well” is one of my all time favourite songs by any artist, and I don’t know what I would have done if it had been replaced by the one song I cannot seem to process. So really, what this all leads up to… is wow. Mayday Parade has been a band for 14 years. Their old songs never got stale, and their new songs never became redundant or uninspired. Not every band can stay this fantastic for this long, but I am so thankful that Mayday is one of those bands. And I love that every time I drive through the USA, I’m guaranteed to see at least one sign on the highway that recalls a Mayday song for me. So hey, Mayday Parade, thank you for being you. And uh, if you want to leave “Black Cat” off the setlist for 8123 Fest…. *slides $20 across the table* my sanity won’t complain. Check out Mayday Parade’s latest album, Sunnyland!